The Emory Conference Center Hotel features 325 beautifully decorated guestrooms just minutes from downtown Atlanta, Buckhead, and Hartsfield International Airport. Expansive windows open up to the light and tranquility of our hotel's unspoiled natural surroundings, complimenting a wealth of amenities. 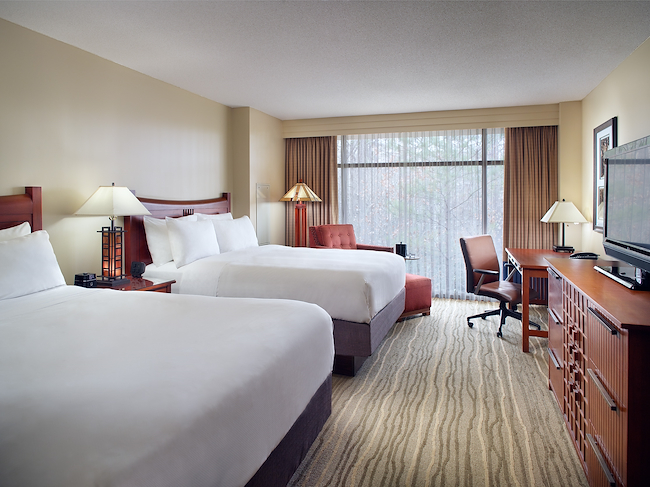 Guestroom and suite amenities ensure a restful and enjoyable stay at the Emory Conference Center Hotel. 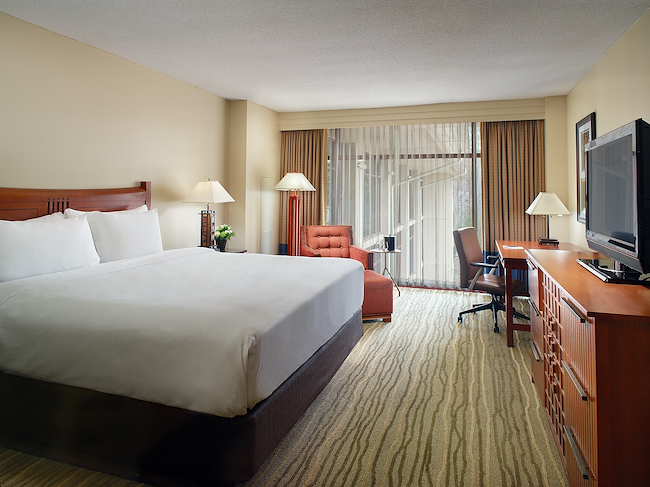 Our King Room features a comfortable pillow top bed, luxurious linens, ergonomic work station and expansive views of our natural setting. 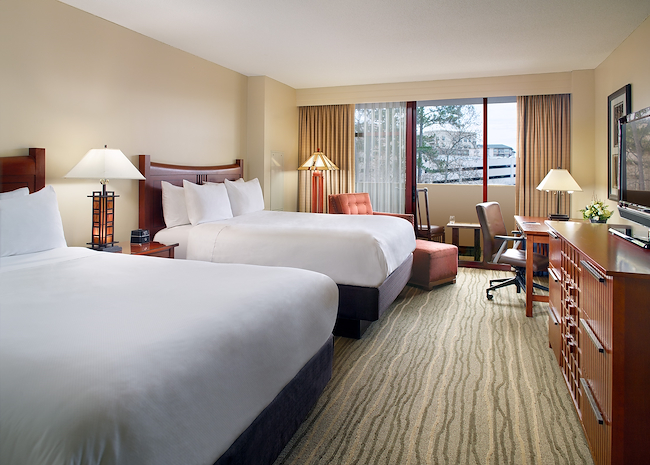 Our Double-Bedded Room features two comfortable pillow top beds, luxurious linens, ergonomic work station, and expansive views of our natural setting. Our King Balcony Room features a comfortable pillow top bed, luxurious linens, scenic balcony with seating, ergonomic work station and expansive views of our natural setting. 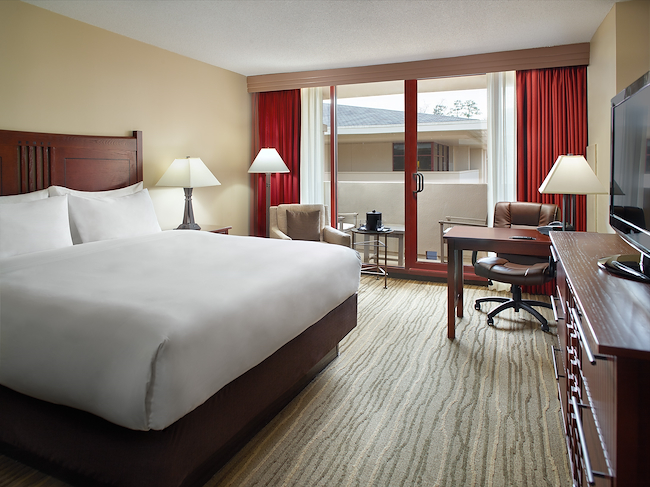 Our Double-Bedded Balcony Room features two comfortable pillow top beds, luxurious linens, scenic balcony with seating, ergonomic work station and expansive views of our natural setting. 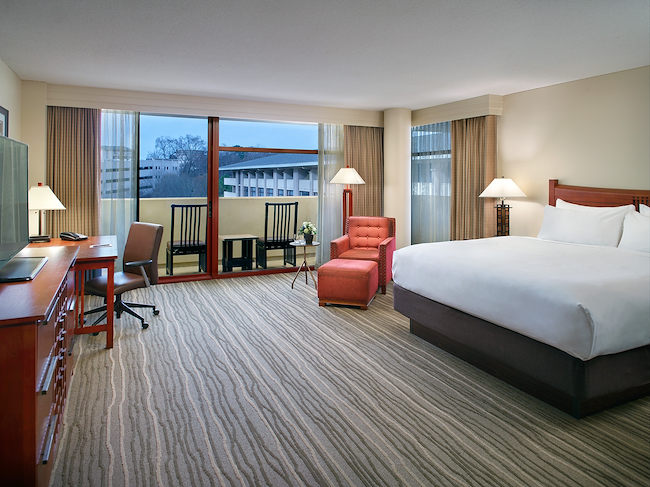 Our Corner King Balcony Room features a comfortable pillow top bed, luxurious linens, spacious wrap-around balcony with seating, ergonomic work station and expansive views of our natural setting. We are pleased to offer several accessible room type options for our guests with expansive views of our natural setting. Our King Accessible Room features a comfortable pillow top bed, luxurious linens, ergonomic work station, safety bars for toilet and tub, elevated toilet and a handheld shower head. Additional options available upon request include roll in shower, shower bench and hearing/vision kits. *NOTE: Please detail all ADA requirements in the “comments” section of your reservation. Please ensure valid phone number is provided so we can contact you to confirm reservation details. We are pleased to offer several accessible room type options for our guests with expansive views of our natural setting. Our Double-Bedded Accessible Room features two comfortable pillow top beds, luxurious linens, ergonomic work station, safety bars for toilet and tub, elevated toilet and a handheld shower head. Additional options available upon request include, shower bench and hearing/vision kits.